A cleaner who believed she had been disrespected by a worker at a call centre when he entered a kitchen she was working in took revenge - by poisoning his food. 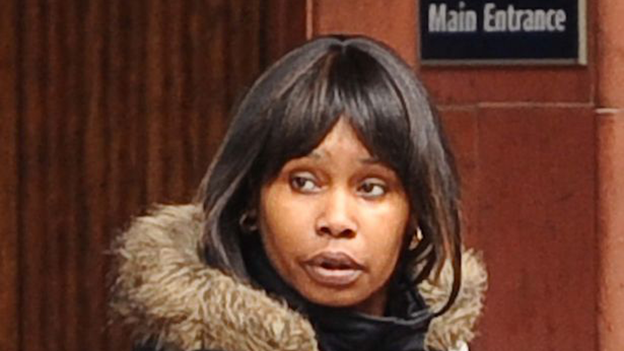 Sharon Edwards sprayed cleaning fluid and air freshener on a sandwich Mohammed Islam had put into a fridge after they had cross words when he entered the company kitchen while she was trying to clean it. Mr Islam, a customer services adviser, ignored Edward’s requests to leave the kitchen and insisted on placing his lunch box, containing his sandwiches, in the fridge. After he left Edwards, aged 44, of Fentham Road, Aston, covered the sandwiches in cleaning agents, after muttering, “Watch how you go”. Mr Islam suspected his food had been tampered with after he heated it in a microwave at lunchtime on February 16 and noticed a smell of chemicals. He passed it around his colleagues and then took a small bite, but spat it out. Later that afternoon vomited and was taken to hospital by colleagues. He did not require medical treatment but felt sick when he went back to work and also the following day. Mr Islam was suspicious about what had gone on and CCTV was reviewed and showed Edwards going to the fridge. Edwards admitted administering a poison with intent to injure, was handed a 26 week sentence suspended for 12 months at Birmingham Crown Court, today (May 19). Judge Francis Laird QC said: “He placed his lunch box in the fridge. “Having noticed that he had gone and in an act of spiteful revenge and to teach him a lesson you sprayed his food with cleaning fluid. “You also sprayed it with air freshener to get your own back on him. The judge said the spiteful nature of the offence and the potential consequences had the victim eaten all of his food meant it crossed the custody threshold. However he had taken into account her early guilty plea and “in the cold light of day she regretted what she had done”. Joanne Barker, prosecuting, said: “The defendant and Mr Islam worked at the same business premises on the Hagley Road. She said on February 16 this year at around 8am Mr Islam went into the canteen to put his food in the fridge for lunch time where the defendant was cleaning at the time. “She was clearly unhappy with Mr Islam entering the area as she tried to clean. “In fairness she had put a chair up against the door. “There was a verbal altercation between the two of them. “Mr Islam told Edwards told the defendant that she was rude and placed his food in the fridge. Miss Barker said Edwards then went to the fridge, opened the container of Mr Islam’s food and sprayed it. When quizzed Edwards said she had never intended the victim to eat the food but wanted to “spoil” it. Miss Barker said there was a warning on the air freshener that if consumed it was harmful and could damage lungs. Henry Spooner, defending, said: “The incident occurred from what she perceived, at the time, as somewhat arrogant and in-your-face behaviour.